File photo: A member of the JMPD indicates for a car to stop. A JMPD spokesperson urges motorists to treat intersections with traffic lights out and no JMPD officers present as four-way stops. 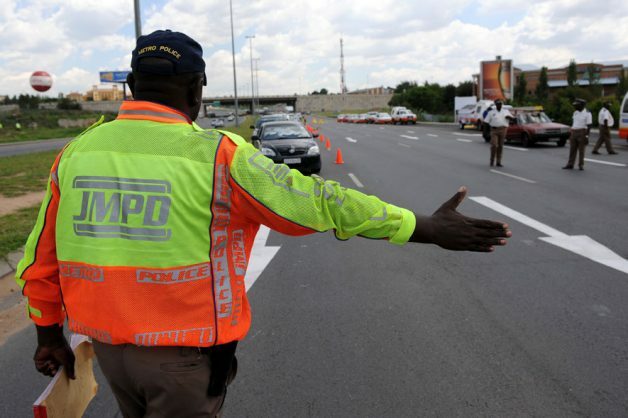 The Johannesburg metro police department (JMPD) said on Tuesday it had deployed more officers to manage traffic in the central business district after rotational power cuts by state-owned Eskom left many lights out. He urged motorists to treat intersections with traffic lights out and no JMPD officers present as four-way stops.